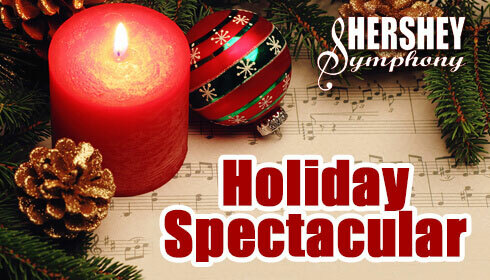 What would December be in Hershey without the Hershey Symphony Holiday Spectacular? Once again, the Hershey Theatre’s nearly 2,000 seats won’t hold the demand, so you’ll have your choice of a matinee or evening performance. Join the orchestra for a 100th birthday tribute to Leonard Bernstein with his sparkling Overture to Candide, Hershey Symphony Young Artist winner Ethan Kim playing a movement of the Grieg Piano Concerto, and, of course, holiday favorites. Plus, LOTS of surprises at this one!